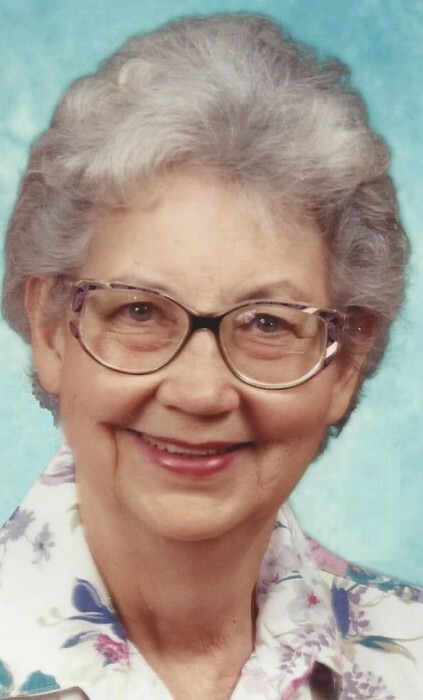 Obituary for Alice Luella France | Demaray Funeral Service, Inc.
Alice Luella Henry France was born April 25, 1930 in the Old Gooding Hospital in Gooding, Idaho, the daughter of James Wallace (Jim) Henry and Clara Bolton Henry. She was raised and attended school in Gooding, Idaho, where her Father operated Triangle Heating and Plumbing Company. A favorite childhood activity was skating and playing hockey on the Little Wood River in wintertime, where the kids used tree branches for sticks and flattened cans for a puck. Two summers in the late 1930s were spent at a mine on Elk Creek above Stanley, Idaho, where Alice and her brothers roamed the meadows as their parents worked the mine. Alice graduated from Gooding High School in 1948 and attended the University of Idaho, graduating with a Bachelor of Science degree, majoring in food and nutrition. In the summer of 1951, she cooked for 100 scouts at Camp Cloud Rim above Park City, Utah. At the University, she was a member of the SPURS (Service, Patriotism, Unity, Responsibility and Sacrifice), a sophomore honor society for women. Alice attended many college dances and always had a beautiful dress and a full dance card. She very much enjoyed recalling her time and classes at the University and remained a lifelong Vandals football fan. Upon graduating college, Alice bought herself a sporty Dodge Dart and traveled to Cincinnati, Ohio, to complete a one year internship at Christ Hospital, after which she became a registered dietitian. Her first employment was at the Idaho State Tuberculosis Hospital in Gooding where she was in charge of the dietary department. In 1956, she accepted a position as a Clinical Dietitian at the Mayo Clinic in Rochester, Minnesota. When her brother Ed became ill, she returned to Idaho and resumed work at the Tuberculosis Hospital in Gooding. She was very proud of her degree and professional certification. Alice married Ernest (Ernie) France on September 28, 1962, and anyone who met them saw two people who spent over 50 years loving and supporting one another in the kindest and most caring ways. She continued working part-time as they raised sons Kevin and Greg. The family enjoyed camping and spending time at their cabin in the Sawtooth Mountains. Alice and Ernie started Circle 4 Cattle Company in 1969 and had many fond memories of the families who were part of Circle 4 and the times they spent together. They were named Cattle Feeder of the Year in 1987 by the Idaho Cattle Feeders Association. Alice was a lifelong member of PEO International, an organization that promotes educational opportunities for women. Alice and Ernie enjoyed traveling, including trips to Europe, Canada, Alaska, Australia, New Zealand, Arizona and Hawaii. After retiring, they moved to Portland, Oregon to be closer to their grandchildren and to spend time at the Oregon coast. Alice was an avid reader with a tremendous love of books, and among her favorite pastimes were needlepoint, recipes and word puzzles. Edward (Ed) and James Lee (Jim) Henry. She is survived by her sons Kevin (Melody) and Greg (Vinka), her grandchildren Rebecca, Amanda, Josh and Luke, her sister Alta Crawford and numerous nieces and nephews. Funeral services will be at the chapel at Riverview Cemetery and Funeral Home in Portland on Saturday, October 20th, at 2:30 pm. Burial will be in Gooding, Idaho, the following Wednesday. The family suggests memorials to the PEO International Star Scholarship Fund.